What is a duffel bag and is there a link with duffle coats? It’s fair to say that a number of people searching for duffel bags end up on our site by mistake. For that, our apologies. But given that there IS confusion between duffle coats, duffel bags and even duffle bags (keep up) we thought we’d explain the trusty workhorse that is the duffel bag. Where did duffel bags come from? Internet legend has it that duffel bags originated in the early to mid 17th century. That’s when Spanish and Portuguese sailors started making bags from leftover sail fabric. And this coarse, waterproof material was imported from the Belgium town of Duffel. Hence the name Duffel bag. Fast forward a century or three and duffel bags came into their own during WWII as a good way to schlep kit around war zones. 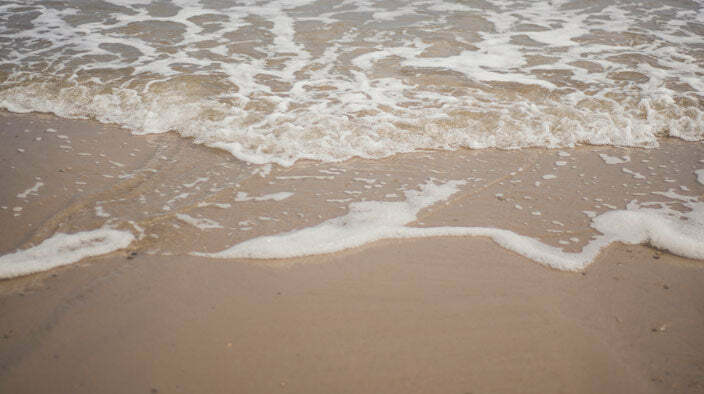 And when the war was over they were (allegedly) used by surfers in Australia and the US. Nowadays? They’re still popular, but the design has altered a little. The original design was a cylindrical bag that stood on one end, with a drawstring at the other end. But as the years have rolled on, duffel bags are being spelt duffle bags and are even sometimes called ‘barrel bags’. 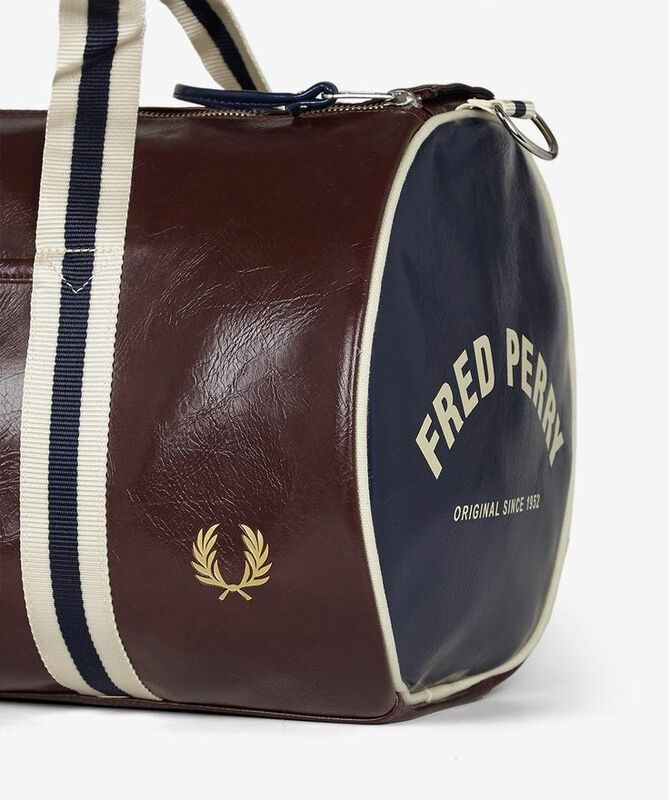 Which to our British eyes look a bit like – whisper it – a regular holdall. Still, we’re not going to argue over semantics. The point is that whether you say duffel / duffle / barrel or holdall, these bags are neat bits of kit. What do duffel bags have to do with duffle coats? Umm, not much. The only connection is via the Belgium town of Duffel. Not only did it supply material for duffel bags, it also gave birth to the wool-rich material that was used to make original duffle coats. 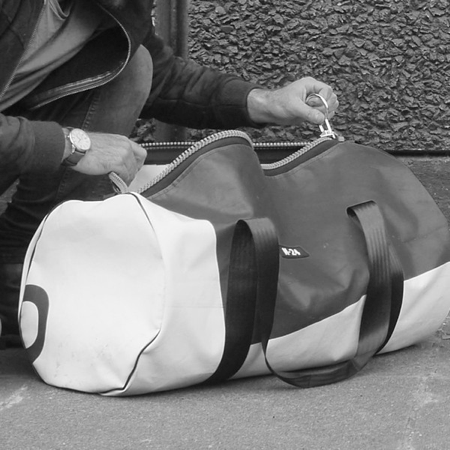 As we delved into the history of the duffel bag, we made a brilliant discovery. And it was the British company, M-24. 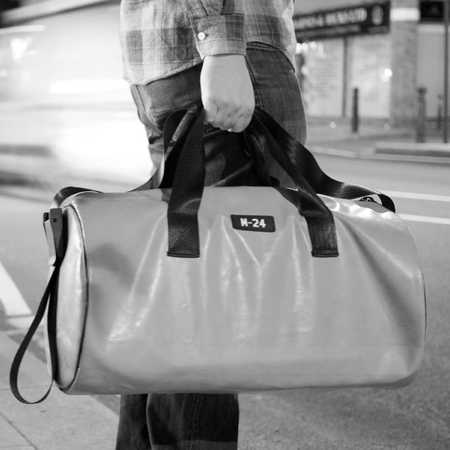 Based in Somerset, M-24 was founded in 2012 by Mat Dusting who was fed up of bags that broke. So he decided to design his own. But not with ‘normal’ material – nope, too boring – with discarded tarpaulins from lorries in the UK. Which is taking upcycling to a whole new level right? The bags that Mat and his team design are brightly coloured, hard wearing and water repellent. And so cool it almost hurts. They make duffel bags and more. Another reason we’re loving M-24 is that they’re a British company, making high quality products, selling them at a price ‘that makes sense’, while supporting British manufacturing. Which is pretty much what we’re doing here at Duffle Coats UK. So although duffel bags have nothing to do with duffle coats, in this particular case, the duffle bags from M-24 and our duffle coats have more in common than you’d think. Good products, made in the UK, which look awesome!